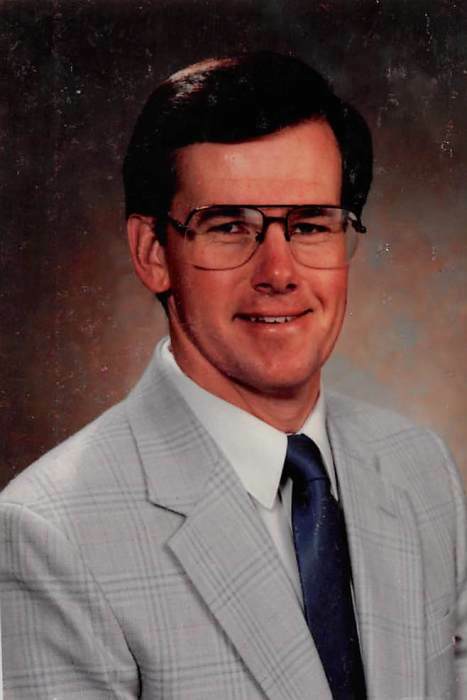 Muncie....Dennis Bruce Rogers, 69, resident of rural Muncie passed away on March 28, 2019 at IU Health Ball Memorial Hospital in Muncie. He was born in Shelbyville, March 10. 1950. the son of Grover and Harriet Kent Rogers. He was a graduate of Daleville High School and attended International School of Business (Ivy Tech) in Ft. Wayne. He worked for American Chevrolet as well as General Truck Sales for twenty years. He was a US Navy veteran. He was a member of Hope Bible Fellowship and loved collecting movies of all kinds. Survivors include his wife of 49 years: Janet Litchfield Rogers of Muncie, 2 children: Lisa Rogers of Avon and Stacey Osburn (Greg) of Indianapolis, 2 grandchildren: Audrey and Max, 1 sister: Cathy Gilliam (Tom) of Anderson, several nieces and nephews. Funeral services will be held on Monday April 1, 2018 at 10:00 am at Ballard and Sons Funeral Home, 8212 South Walnut Street, Daleville, Indiana with Pastor Jim Sandberg officiating. Burial will follow in Saunders Cemetery, Daleville. Friends may call on Sunday at the funeral home from 4-7 PM. Memorials may be made to the IU Heath Ball Memorial Hospice or the Hope Bible Fellowship church.